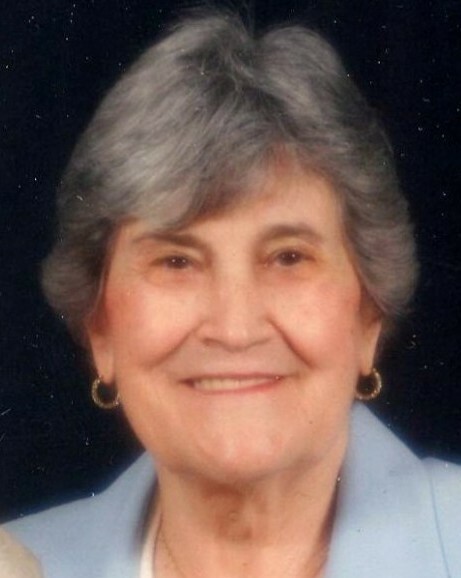 America Elizabeth Wright Sexton, 89 of Rush went to be home with her Lord on Monday, January 21, 2019. America was the daughter of the late Charles and Madeline Holly Wright. She was a member of the Wilson Creek Missionary Baptist Church and the women’s prayer group. She retired from Cinderella Sewing in Ashland. One brother, Charles William Wright, preceded her in death. She is survived by two sons, Kenneth Wayne Sexton (Renata) of Rush and Dennis Eugene Sexton (Patricia) of Rush; four grandchildren Rebecca Sexton Crum (Lauren) of Carter City; Brent Eugene Sexton (April) of Grayson; K.W. Sexton II (Belicia) of Grayson; Lacee Sexton Blevins (Jason) of Cannonsburg. He has ten great-grandchildren Owen, Abby, Cadee, Cole, Jaxon, Candace, Knox, Emerson, Kellen and Amber; three sisters, Ruth Burns of Catlettsburg KY, Maggie Mae Hicks (Ralph) and Mary Ellen Davis both of Ashland KY.
Funeral services will be conducted Friday 1:00 p.m. at Wilson Creek Missionary Baptist Church with Joed Rice and Dicky Tiller, ministers. Burial will be in the East Carter County Memory Gardens. Friends may call from 11:00 a.m. until 1:00 p.m. at Wilson Creek Missionary Baptist Church. Malone Funeral Home is in charge of arrangements. Memorial contributions are suggested to: Wilson Creek Missionary Baptist Church, 6994 Wilson Creek Rd., Grayson KY 41143. Condolences and memories can be sent to the family at www.malonefuneralhome.com.